Last night was the second Summer Cruise Night at California Car Cover of the summer. 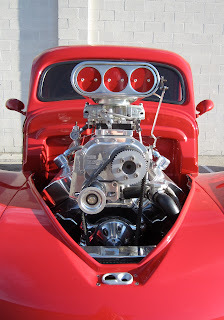 We had a lot of fun at our headquarters in Chatsworth, Ca. 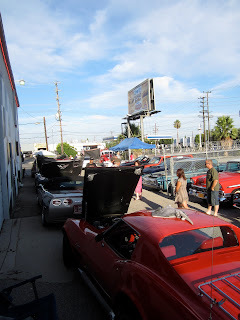 Once the sun started to set over 60 classic and muscle cars were on display until 830. Even though it was pretty warm until sunset, people drove on over to hang out with us. 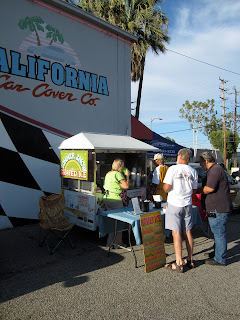 Fortunately, we had a shaved ice vendor on hand to keep everyone cool. 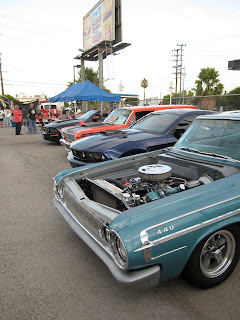 There was a nice variety of hot rods and classic cars on display. 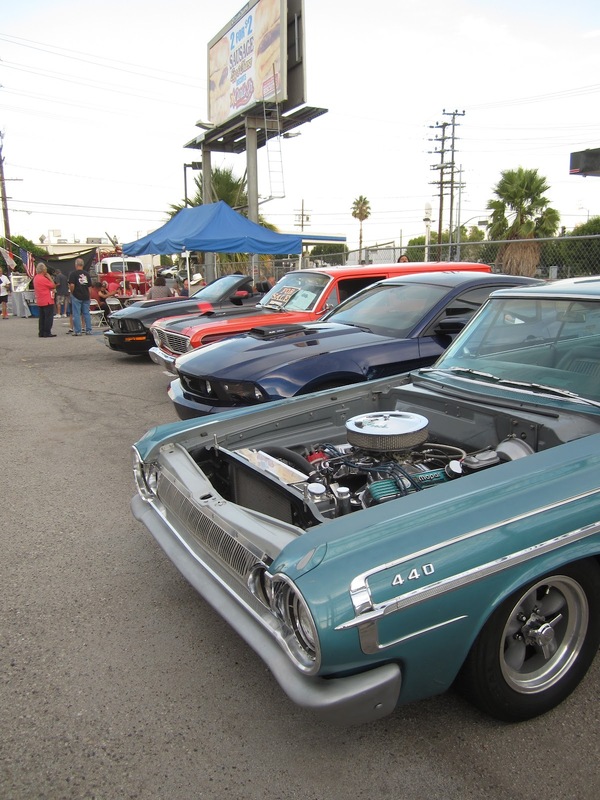 Whether you were a fan of classic Chevy cars or new Ford Mustangs, they were all out at the Summer Cruise Night. 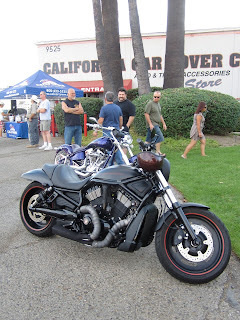 Even a few motorcycles were on display at the get together. Our friends from Rock N Roll Pizza in Woodland Hills, Ca were here again serving up big slices of pizza. The front lawn had a variety of classic cars, muscle cars, and hot rods. Nice GTO and a pair of El Caminos. Check it out. 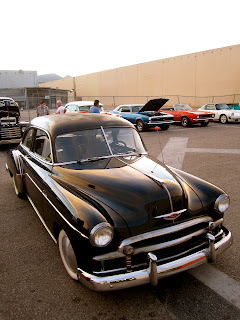 In the back we had a nice mix of classic Chevy Camaro vehicles, some hot rods, a few European cars and many more. The sun began to set, but we were still having plenty of fun. Besides the next Summer Cruise Night in September, we have a few more events coming up in September and October. 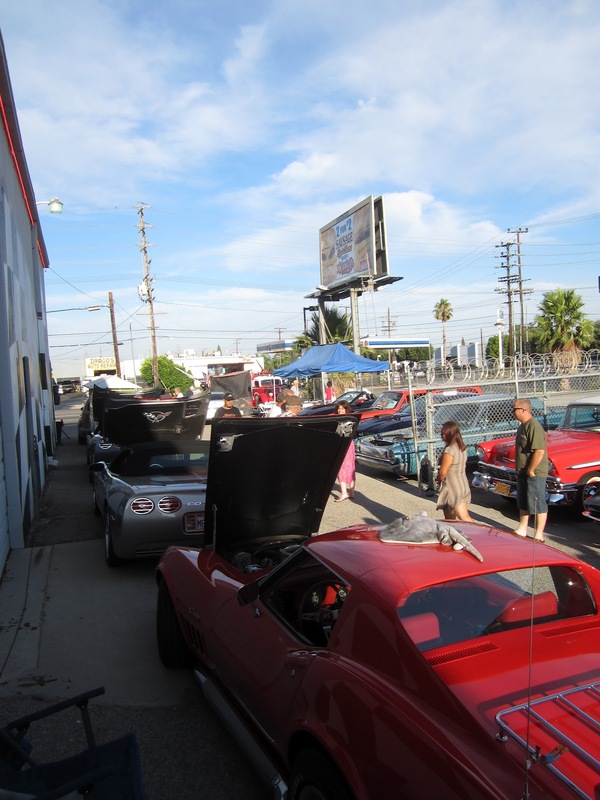 Hopefully, you will be able to stop by for our Parts Exchange and Parking Lot Sale, Tri-Five Chevy Show or Nova & Chevelle event. More details are on our website. 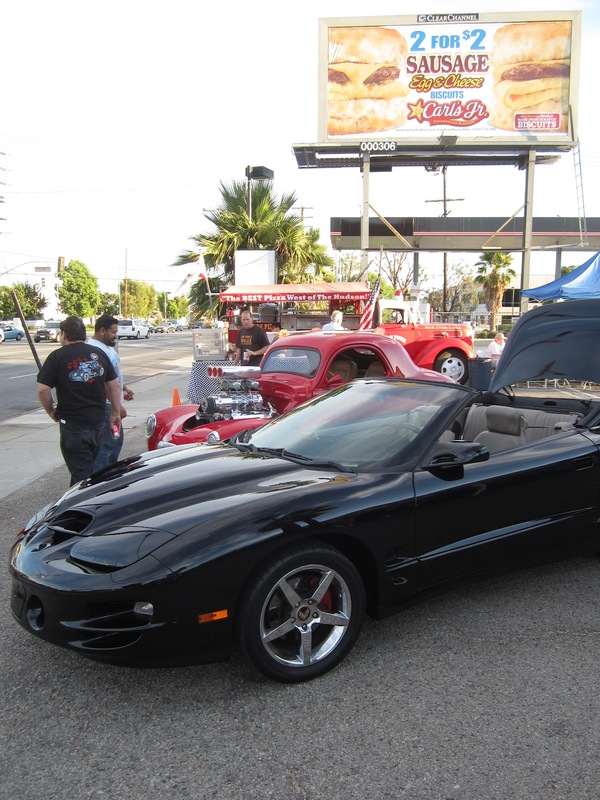 The Summer Cruise Night Series would not be possible without the support of the event sponsors this year. We owe a big thanks to our friends at Deltran Battery Tender, Shop-Vac, Mr. Horsepower, Detail Pro White Wall Wipes and Park Smart. They contributed raffle prizes for each event to make sure that everyone has an opportunity to win some great prizes.